Very nice! What prompted you to write this article? I am glad you liked the article, Sanjay. I am studying the method of innovation of various people / organizations both in Indian and abroad. I use the learning when I work with my customers. Helping organizations become more innovative is what I do for a living. It enjoy it. Hi Vinay, Are sure about the price of bicycle to be of the range of 700-1000 INR in those days. I remember the cost of my cycle Hero Ranger was Rs 1600 in 1992-93. Rs 700-1000 would have meant huge money back then. Saket, This is good question. I wondered about the same when I read it in the biographical book. But I couldn't double-check it. So it could be wrong. However, this price is at the turn of the century when cycle may not be manufactured on a mass scale yet and price might have included shipping charges etc. In case you come across any other reference, please share. Thanks. Thanks Vinay! I really enjoyed reading your article. My father worked in a machiche tool industry and he spoke highly about people like Kirloskar or Rusi Modi(of Tata steel fame). 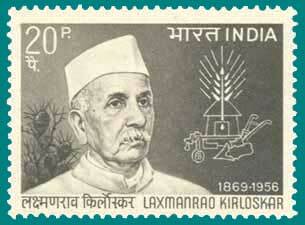 Laxmanrao vl be the inspiration to "Marathi manus" to establish industrial strategy.